PhotoKatta! फोटोकट्टा!! 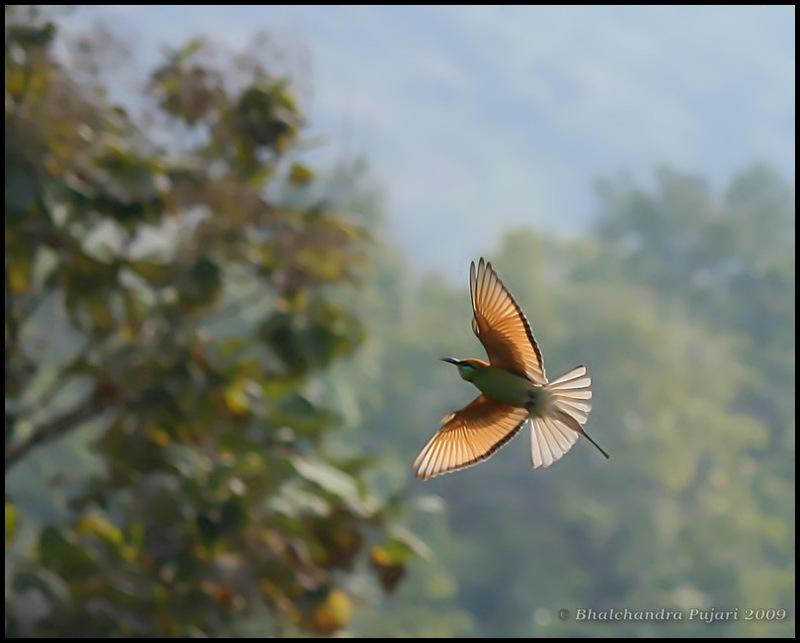 : Green bee eater in flight! Green bee eater in flight! Today morning was excellent! We went to nearby fort - Sinhgad, where we spent substantial time trying to get the flight of green bee eater. It turns out that these bee eaters are extremely erratic in their flight so it required substantial time and shots to get this pic! Well thats really amazing, i really liked that pic and very nice collection, Great work dude, keep it up, would like to see more work, will be awaiting impatiently to see your more work.